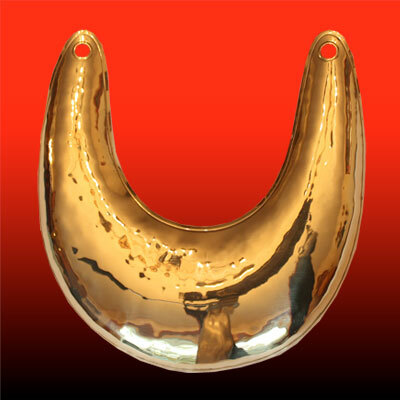 Plain brass gorget, hand hammered and polished. Hammer marks still visible from back side. Measures approximately 5 1/2 x 5 inches. Can also be used by American officers From the French and Indian war through the Rev War. Great for any Native impression from the mid-eighteenth century onward.